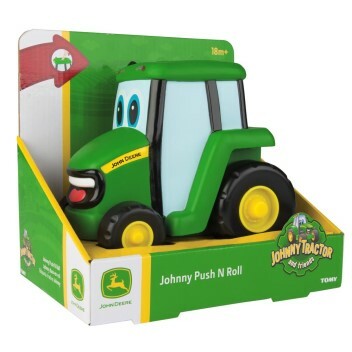 * The Push & Roll Johnny Tractor will introduce farm play to little ones and give them a love of the great outdoors. * This chunky John Deere vehicle has soft-touch surfaces with rounded edges for safe play. * Press on the large button on the cab roof and the tractor will roll along by itself! It's a great way to encourage your child to crawl or walk.